On the evening of Monday February 4th, The Point Grey/ stcywcte:n Grads of 2013 & First Nations Leadership 12 Class hosted an event at the Musqueam Nation Reserve celebrating First Nations culture, whilst at the same time honouring the Musqueam community elders and supporting some of the student initiatives that are ongoing throughout the year. "Congratulations go out to Point Grey's Aboriginal Grads of 2013 and the First Nations leadership students under the guidance of Erla Calahaisn First Nation resource Teacher and to our community partners Ernst & Young for their mentorship and support of this wonderful group of Point Grey students in bringing this event to fruition," said Irfan Sheikh, the principal of Point Grey Secondary. The event was capably emceed by Point Grey Grade 12 student Daniel Chase, who is also part of the Musqueam Nation family. 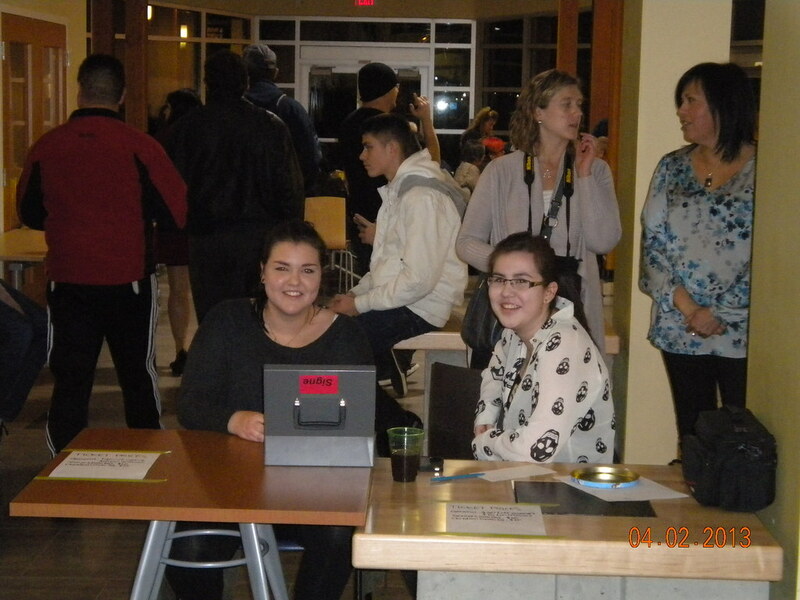 A dozen other Point Grey/Sty Wet Tan leadership students helped host the event, which was attended by over 75 members of the Musqueam community. Newly elected chief Wayne Sparrow opened the event and Mary Charles, a Musqueam Elder, gave the blessing. Along with the Musqueam community, several members of the Point Grey staff joined the celebratory evening, as well as District Principal for Aboriginal Education Don Fiddler, who addressed the gathering on the importance building school and community connections. The assembled gathering was treated to phenomenal Aboriginal cultural performances by the Dan Family "Coastal Wolf Pack Dancers" & the "Compaigni V'Ni Dansi", a renowned Metis dance troupe. The event concluded with a wonderful "feast' catered by Chef Patrick & Railtown Catering, with some of the food generously donated by a number of community members.